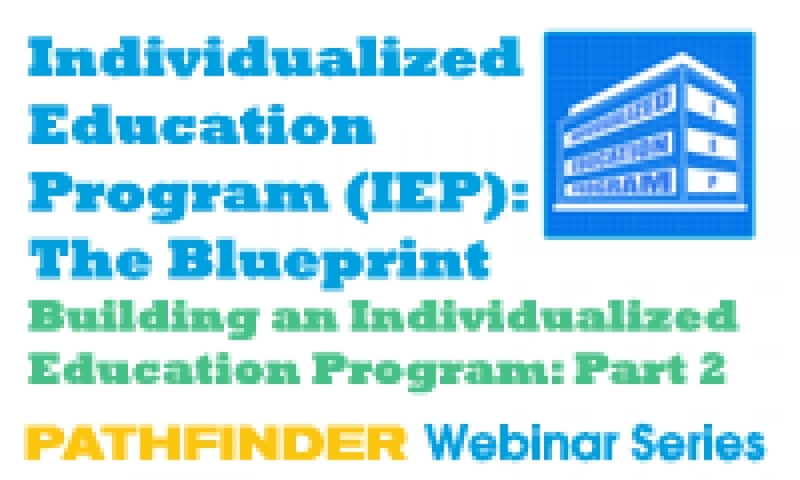 Building an Individualized Education Program (IEP) is a two part webinar series for parents and professionals who are participating in the IEP planning process. This webinar series will provide the basic tools to build an IEP that will ensure that an individual with a disability will have an appropriate educational program to accommodate their unique needs. Part 2, Individualized Education Program (IEP): The Blueprint, provides an overview of the purposes of the IEP planning process, including a description of the main components of a comprehensive IEP. Contact Pathfinder at 701.837.7500 or at info@pathfinder-nd.org to bring a workshop to your community!